A newly formed provincial political action committee (PAC) met in Red Deer on Saturday to discuss strategies to unite centrist voters in the lead-up to the 2019 Alberta election. 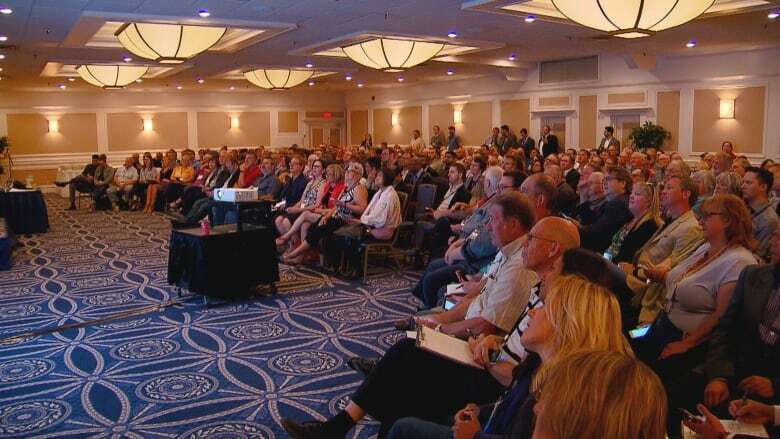 Alberta Together, a PAC led by former PC party president Katherine O'Neill, organized the meeting Saturday, which was attended by more than 300 people from across the province. "We're basically here to bring people into rooms so that they can have those conversations," O'Neill said, noting Alberta Together "invited all the political parties that are in the middle to come and make presentations." 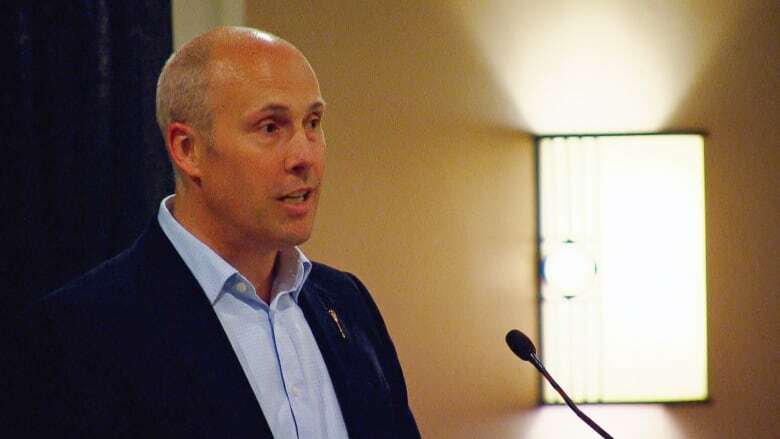 Alberta Party Leader Greg Clark made a pitch to the centrist voters in attendance, asking them to unite under his party that he said is "free from the baggage of history." Of the people in the room, 83 per cent voted in favour of putting their energy into helping the Alberta Party. But O'Neill said the meeting is only to gauge interest in uniting the centre, and it's up to the parties vying for the support to try uniting the voters. Clark said the Alberta Party is the best path for centrist voters. "We can build something from the ground up on a foundation that's already in place," he said. Clark, who received a standing ovation after his speech, said politics in Alberta is becoming increasingly polarized. He suspects most people aren't on the far left or the far right. Since Jason Kenney, with a platform to unite the right, won the PC leadership race, Clark said the Alberta Party has steadily gained members who felt they no longer fit there. Liberal Leader David Khan was not at the meeting, as he said his party isn't looking to merge with other centrist parties and plans to field candidates in all ridings for next election. Other well-known politicians who did make the trip were former PC cabinet minister and Edmonton mayor Stephen Mandel, former PC leadership candidate Stephen Khan and Edmonton city councillor Michael Oshry. The group agreed on the majority of Progressive Conservative, Liberal and Alberta Party principles, and want the next provincial government to be transparent. The group said the biggest challenge in Alberta is how polarized politics are. They also said they don't want to see intolerance. O'Neill said she was stunned by the turnout. "I was expecting maybe 100 people, knowing it's a weekend in the summer," O'Neill said. "It's an amazing start." Alberta Together plans to hold subsequent meetings across the province over the course of the summer. Battle for the centre: After Kenney's unite-the-right win, where will progressives go?